I hope everyone is enjoying the Not to Miss series! 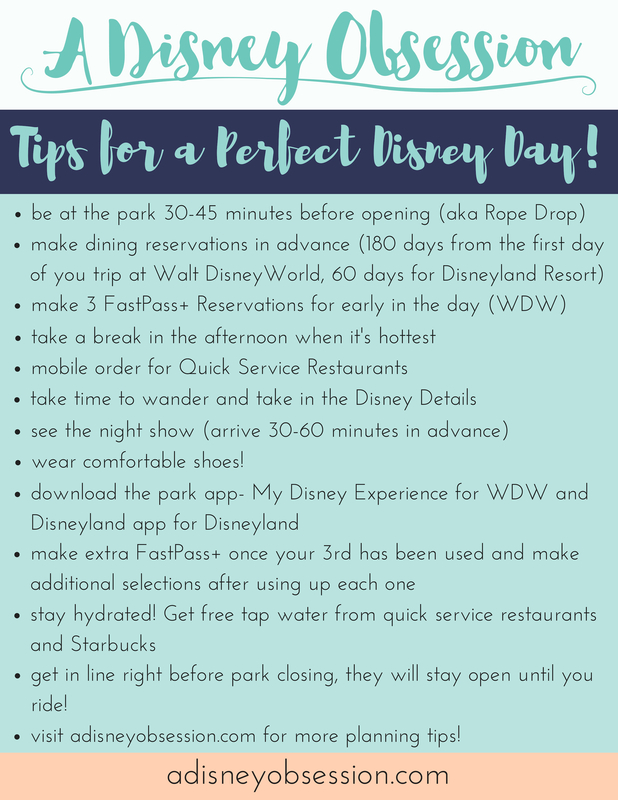 If you’ve missed the first three posts, you can check out what attractions I suggest for Little Ones, Thrill Seekers, and the Classic Disney Fan. Today let’s take a look at Character Experiences. I know my sister loves meeting characters and getting autographs, so we have gone around to most of these during previous trips. If you have someone in your party who loves to meet characters, you may want to purchase an Autograph Book as soon as possible. I still have my autograph book from my first trip to Walt Disney World! Again, I’ll sort them by park, give suggestions about best times to go and if Fastpass+ is a good idea (or even available). You can read all about Fastpass+ here. 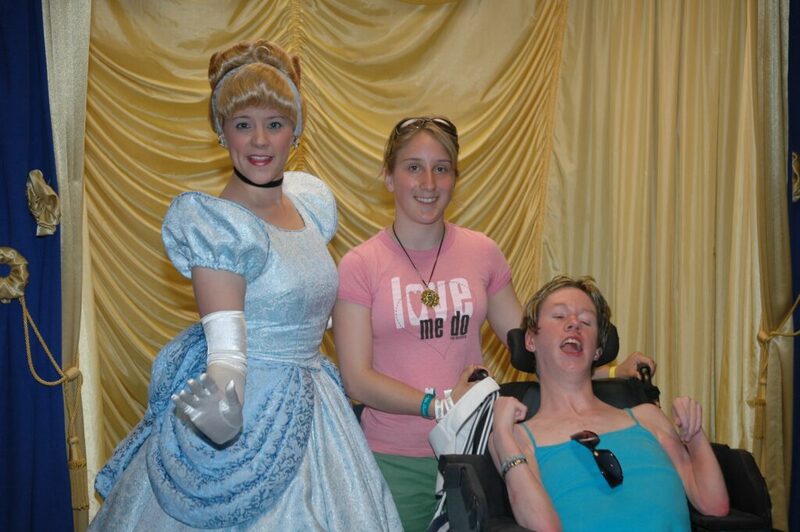 I’m throwing in some old character greeting pictures from previous trips, don’t laugh at my fashion choices! Okay, on with the list! In my opinion, some of the best character greeting spots are in Magic Kingdom (the ones with the best theming) so you may want to think about where the characters are that you want to meet, and the quality of the picture you will get out of it. Photopass photographers take the pictures for you on their cameras that will link to either your physical photopass card, or your MagicBand. You can give them your camera to take a picture as well if desired. Alice in Wonderland- Meet Alice near Mad Tea Party! Fastpass+ not available. 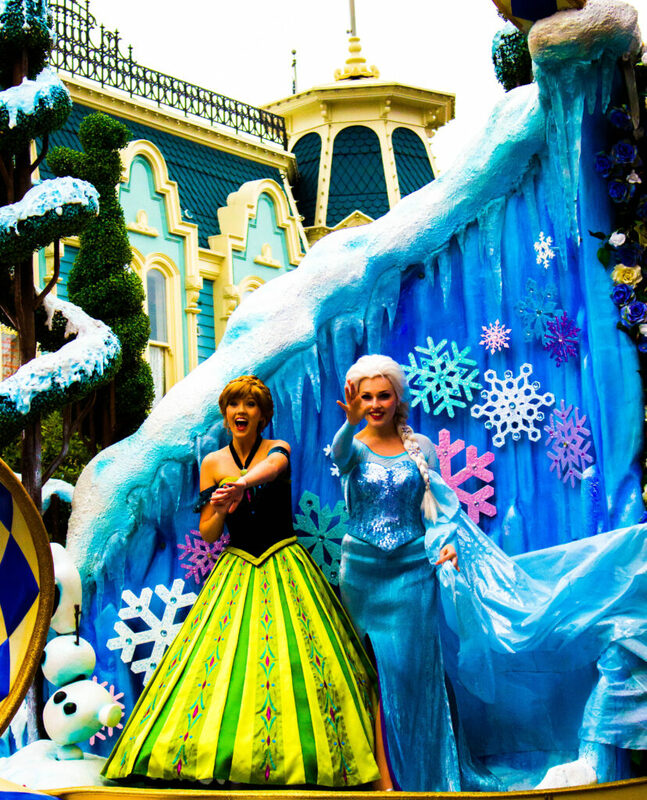 Anna & Elsa- Meet the Frozen sisters at Princess Fairytale Hall. Fastpass+ is strongly recommended, as you can easily be waiting 90+ minutes. Buzz Lightyear- To infinity and beyond! Meet your favourite Space Ranger in Tomorrowland. Fastpass+ not available. 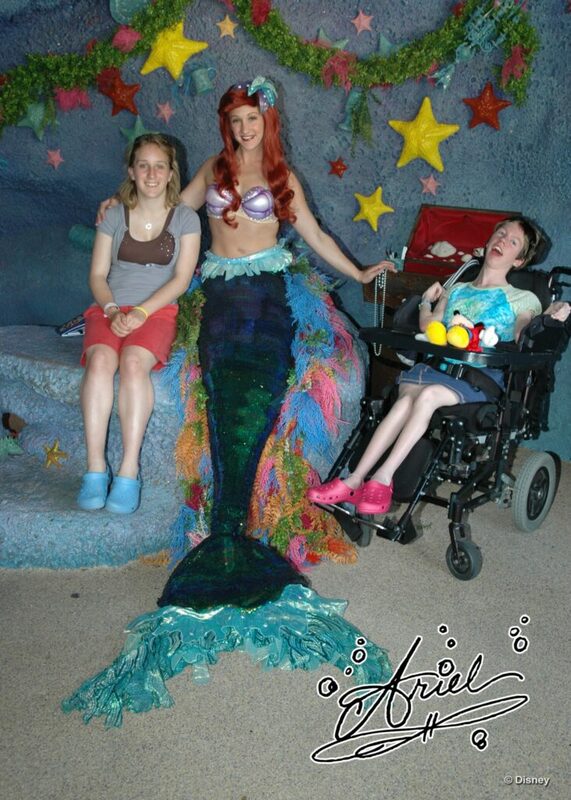 Ariel- Meet Ariel in her Grotto in New Fantasyland. This line can get quite long, so Fastpass+ is recommended. Aladdin & Jasmine/Genie- Meet your favourite Agrabah characters in Adventureland. This line can get quite long, but Fastpass+ is not available. If Cast Members see the line getting quite long, they will stop allowing people to line up to avoid disappointment. 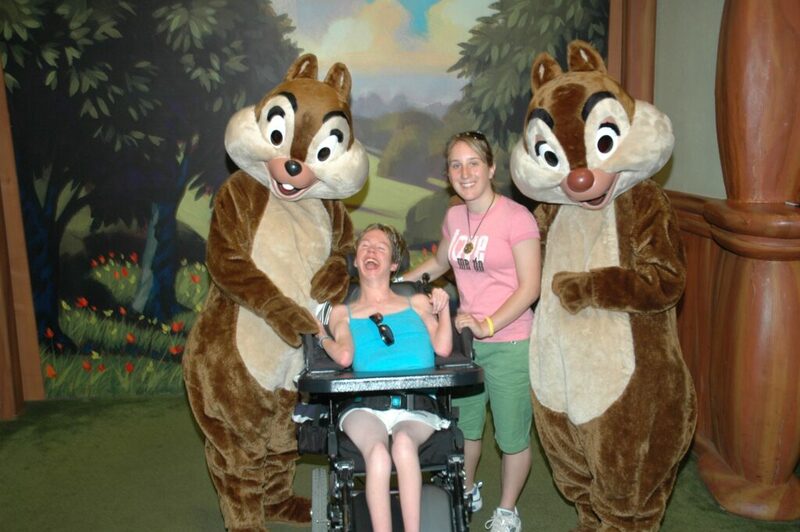 Chip n’ Dale- Meet your favourite chipmunks in western apparel in Liberty Square. Fastpass+ not available. Cinderella and Rapunzel- the other half of Princess Fairytale Hall is home to other princesses, you can use Fastpass+ but the line is usually half the wait of Anna & Elsa. Donald, Daisy, Goofy & Minnie- in Storybook Circus you can meet 2 characters at a time, Donald & Goofy or Minnie & Daisy. Lines generally aren’t long, and Fastpass+ is not available. Disney Friends in Town Square- right as you enter Magic Kingdom you never know who you might see! Pluto, Mary Poppins, Minnie, and others will have lines so you can get a picture before any rides! Fastpass+ not available. Gaston- You can meet Gaston outside his tavern! He has become very popular on social media (just type it in on Youtube and watch some pretty funny encounters) so his line will fill up before he even arrives. Fastpass+ is not available. Check the Times Guide to see when he is meeting guests and arrive early! Merida- Meet Merida at Fairytale Garden, very close to Cinderella Castle. Fastpass+ not available. Mickey!- Meet the mouse himself at Town Square Theatre, just to your right as you enter Magic Kingdom. The coolest thing? He talks to you! Fastpass+ available, but generally not needed. 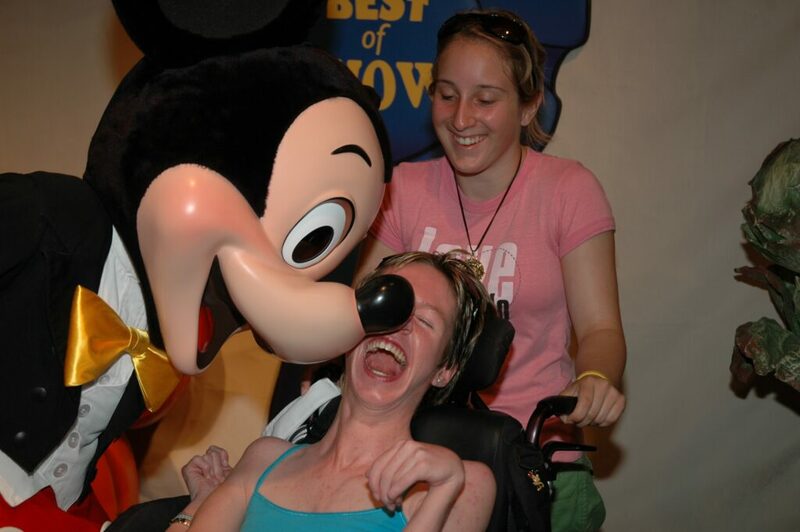 Mickey moved his nose to tickle Alex! It was adorable! 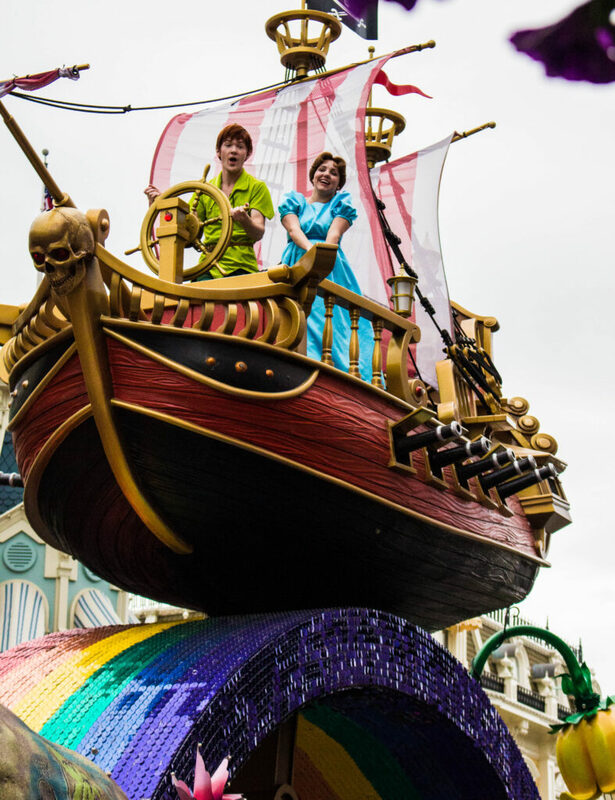 Peter Pan- In Fantasyland you can meet Peter and Wendy. 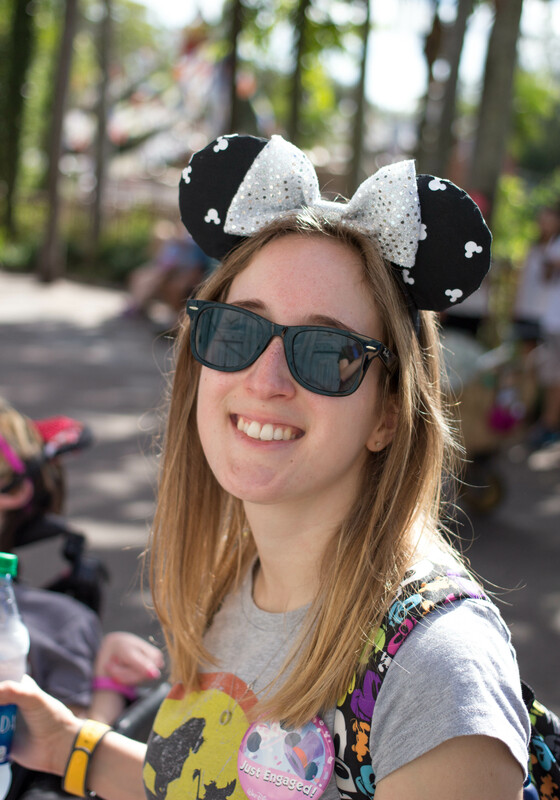 Fastpass+ not available, but check the times guide to see when meetings will take place. Tiana- Meet Tiana just outside of Liberty Square in a beautiful pavilion. Fastpass+ not available. Funny story- it was so strangely cold on our last day last February, Tiana was wearing a cloak! Tigger & Friends- Meet Winnie and the gang outside of The Many Adventures of Winnie the Pooh. Fastpass not available, use the Disney Parks app to get times. 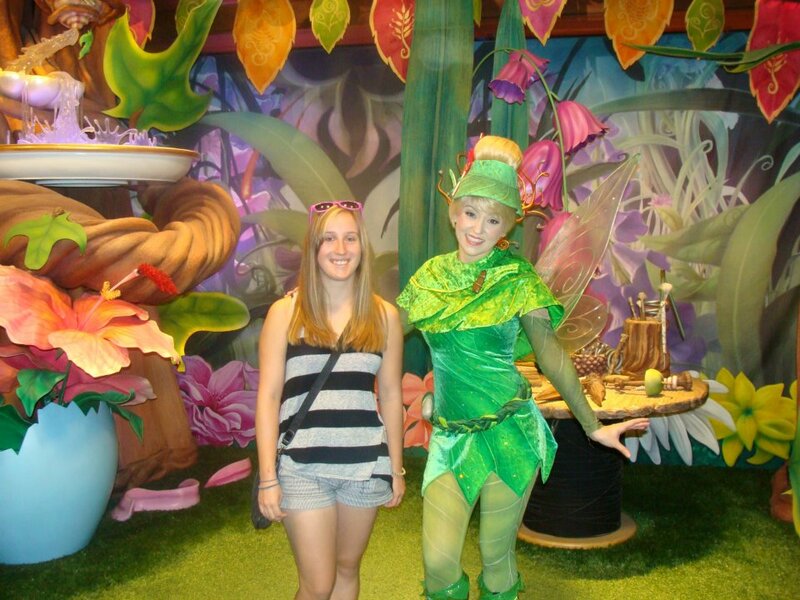 Tinker Bell- Meet Tink at Town Square Theatre, where you can also meet Mickey. Fastpass+ is available. The line can get long, so depending on how big a fan they are of Tinkerbell, you may want to use it. Woody and Jessie- Woody and Jessie greet just outside of Splash Mountain in Frontierland. Fastpass+ is not available. Check the times guide or Disney Parks app for meeting times. At Epcot, the only place Fastpass+ can be used is the Epcot Character Spot. For all other character greetings, check the times guide when you enter the park or use the Disney Parks App. Aladdin & Jasmine in Morocco- This line can get long, so if you have fans in your party, you will want to get them to Morocco early! Wonderland Friends in the United Kingdom- Meet Alice and the White Rabbit and don’t be late! Epcot Character Spot- In Future World you can meet Mickey, Minnie, Goofy, Baymax, and Chip n’ Dale! Fastpass + available but not always needed. Daisy- just to the left as you enter World Showcase you can meet Donald’s sweetheart. The line is generally short, unless a huge crowd has just entered or is leaving World Showcase. 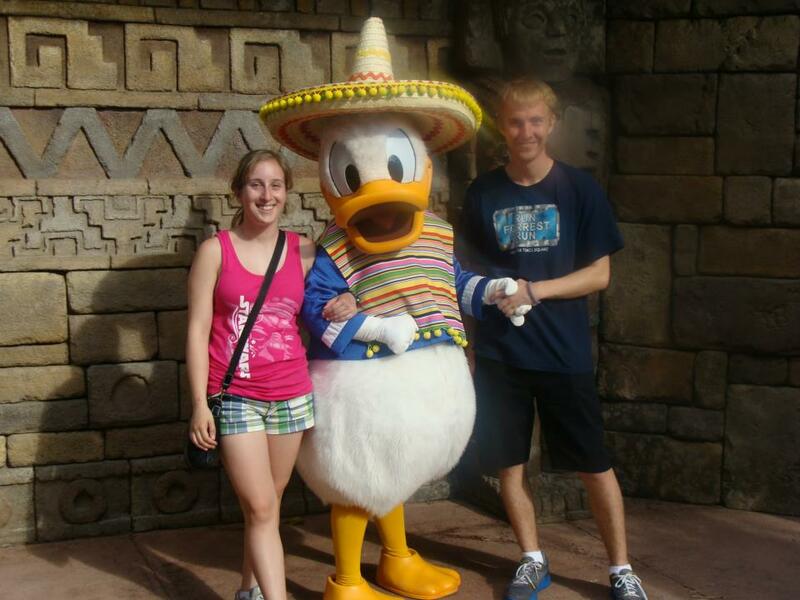 Mexican Donald- One part of the Three Caballeros can be greeted here, right outside the Mexico Pavilion. Mary Poppins- Meet Mary in the UK pavilion and ask her to say Supercalifragilisticexpialidocious backwards! Aurora- Say bonjour to Aurora in her pink dress in France. Snow White- Meet Snow White by her wishing well in Germany. As I walked by last time, I thought the setting was adorable! Winnie the pooh- Say hello to your favourite characters from the Hundred Acre Wood at the UK pavilion, and bounce with Tigger! Tip: Check out the character topiaries in World Showcase if you have someone in your party who doesn’t want to meet characters up close, but loves them just the same. Visit during the Flower & Garden festival in Spring for even more topiaries! Fastpass + is not available for any character greetings at Hollywood Studios. Darth Vader- As part of The Season of The Force, you can meet Darth Vader at Star Wars Launch Bay. Mickey Avenue- You can meet the muse himself and others at Mickey Avenue. I have met Winnie the Pooh here before! 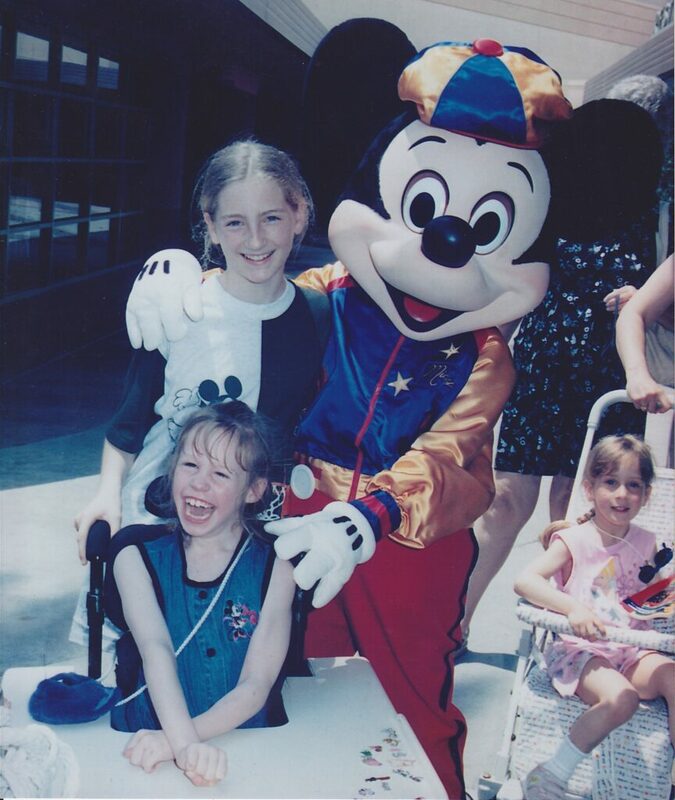 My first time meeting Mickey! Woody & Buzz- Just across from Toy Story Mania! in Pixar Place you can meet your favourite Space Ranger and Cowboy. The line can get pretty long for this one, but they have lots of small photo ops in the que like this one! Chewbacca- You can also meet Chewie at Star Wars Launch Bay! Disney Junior Pals- You can meet Sofia the First, Doc McStuffins and others just outside of Disney Junior Live on Stage. The line will generally be short, especially when a show is taking place inside the building. Mike & Sulley- Near the Streets of America you can meet your favourite monsters and say boo! Disney Pals- you never know who you might see near center stage (just in front of the Chinese Theatre)! Lines are generally short. As with Epcot, the only greetings with Fastpass+ available are at Adventurers Outpost. Check out the times guide or Disney Parks app to see when other characters will be available. Baloo and King Louie- At Upcountry Landing I Asia you can meet your favourite Jungle Book characters. Mickey & Friends- Fastpass+ is available here, and you can see your favourites in safari gear here! Flik- Meet Flik on Discovery Island, then see him some more at It’s Tough to be a Bug! Goofy & Pluto- in Dinoland USA say hello to Goofy and Pluto! It’s most likely one of the only things you will want to do there (it’s a bit of a fan sore spot). Pocahontas-In February Ethan and I walked past this character greeting at the Character Landing. The line was a little on the long side, so plan ahead if you would like to see Pocahontas! Rafiki- You can find Rafiki at his planet watch, for a little more information see below at Chip n’ Dale. Russel & Dug- Say hello to a Wilderness Explorer on Discovery Island. Squirrel! Tarzan- I have never met Tarzan, but now I want to! You can find him on Discovery Island. Donald Duck- You can also find Donald in Dinoland USA. Chin n’ Dale- Meet your favourite chipmunks at Rafiki’s Planet Watch. it is important to note that you can only get here by taking the Wildlife Express train, so don’t head here unless you want to check out the other things there are to do her, like the petting zoo. If you have someone in your party who likes the characters, but doesn’t want to get quite close enough to touch, you may want to consider seeing these shows/ parades. Captain Jack Sparrow’s Pirate Tutorial- located in Adventureland at Magic Kingdom you can catch this show at various times throughout the day. Check the Times Guide or Disney Parks App for exact times. #IncrediblesSuperDanceParty- in Tomorrowland at Magic Kingdom you can dance with The Incredibles! Check the Times Guide or Disney Parks App for times. Move It! Shake It! Dance & Play It! Parade- in Magic Kingdom dance with some of your favourite characters in the parade-style parts. Floats stop and dance for a bit before continuing on the route. Check out the Times Guide or Disney Parks App for performance times. You may hear some of your current favourites! Jedi Training- Kids can participate in this show and battle Darth Vader at Hollywood Studios, but you can also watch. Check the times guide or Disney Parks app for showtimes. If you would like your child to participate, you need to head to Indiana Jones Adventure Outpost first thing in the morning, with your child. Availability is first come first serve, and fills up quickly. For the First Time in Forever- Have a Frozen fan in your party? Head to this sing-a-long at Hollywood Studios. Check the times guide or Disney Parks App for showtimes. Fastpass+ is available, if you know this is something you will want to see. 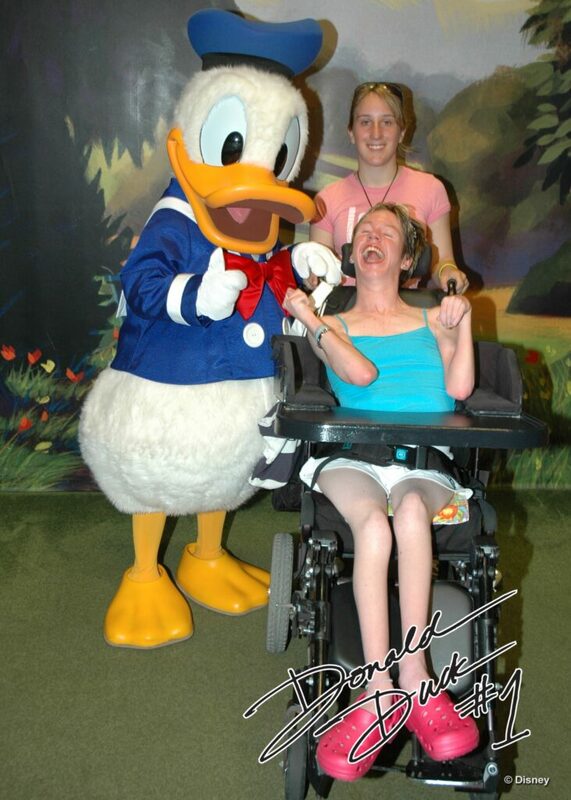 A small piece of advice: if your kids love to meet characters, you may want to split the meet and gets between parks. 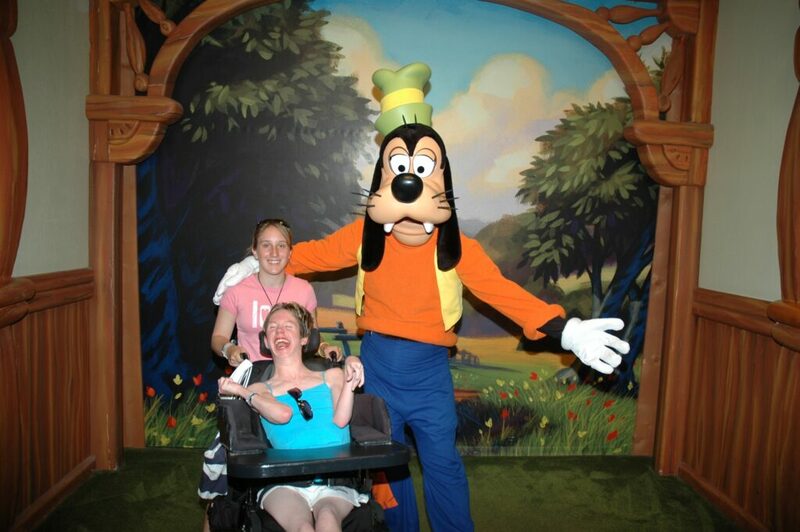 Yes, the characters are on different costumes at each park, but do you really want to meet Mickey 4 times? I don’t blame you at all for saying no! Also, Disney has many character dining experience, which you experience while eating, saving you time! Check out the Walt Disney World website, and select character dining to see all of the options! I know this post has been very long, so thank you for sticking through it! I hope this helps to lay out who you can meet where! Who is your favourite character to meet at Walt Disney World? Let me know in the comments! Now that the craziness of the holiday season is behind us, let’s jump back into the Not to Miss Series! If you missed the first two posts, you can find out what Little Ones and Thrill Seekers won’t want to miss by clicking on those links. Today, let’s talk about what the Classic Disney Fan will want to experience! I’ve done a lot of the attractions here because they are classics, and definitely appreciate them. Let’s get started! Dumbo the Flying Elephant- This classic is something everyone needs to do at least once! Dumbo has recently doubled in size, and is great to ride at night with little wait time. 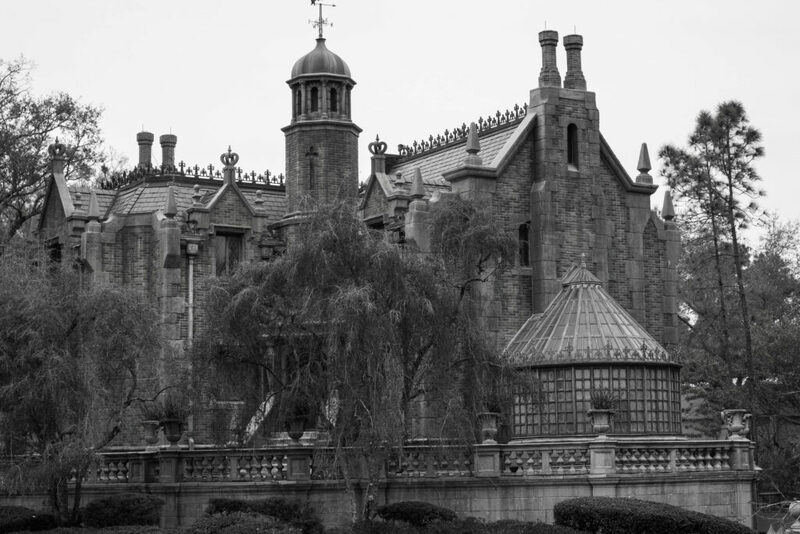 Haunted Mansion- This classic is always a must-do for me. The line can sometimes get long, but usually can be done without Fastpass+. Ride first thing in the morning or later at night with minimal wait time. Use the Disney Parks App to check wait times throughout the day. Carousel of Progress- Created by Walt himself, this rotating theatre attraction is nice for air conditioning, or for some people- a nap. I love it though! You travel through time with each scene, and learn that there’s a great big beautiful tomorrow, shining at the end of every day! Country Bear Jamboree- This classic has sadly been removed from Disneyland in California, so see it here! This show features audio-animatronic bears, and surprisingly popular with Disney fans. It can be seen at any time of day, the only wait time is in-between shows. Jungle Cruise- This ride has been in Magic Kingdom since it’s opening, and it looks that way. It’s known for the jokes, and is quite fun! Ride at night for minimal wait! Mad Tea Party- The classic teacups can get a pretty long line, celebrate a very merry unbirthday later at night for minimal wait. Peter Pan’s Flight- One of the most popular rides at Magic Kingdom gets a line like no other, seriously, it amazes me every time. Ride later at night or first thing in the morning. I would only suggest using Fastpass+ if you are travelling with children in your party. Pirates of the Caribbean- Yo ho yo ho! A pirates life for me. Captain Jack Sparrow has been added to this classic attraction which in my opinion makes it even better. Use Fastpass+ as the line can be hit or miss, or ride in the early morning or late at night. Space Mountain- a rollercoaster in the dark! This ride has gone through various refurbishments, and you used to be able to see the other cars zooming around because the bottoms glowed in the dark! This one is definitely a classic. Ride first thing in the morning or later at night for lower wait times, or use Fastpass+. Walt Disney’s Enchanted Tiki Room- You may have seen footage of Walt Disney talking with Audio-Animatronic birds during an episode of The Wonderful World of Disney at one time or another. Those bird are in the tiki room! While this may not be everyone’s favourite show, I love it, and I think you should see it at least once. Fastpass+ is not available, and it rarely has a wait longer than that between show times. 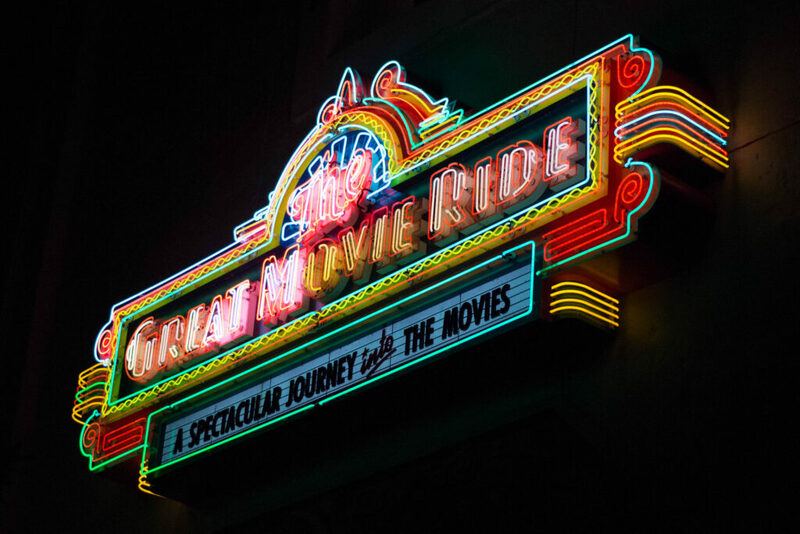 The Great Movie Ride- step into the movies with this attraction, and enter scenes from some of your favourites! If you have little ones in your party, the Alien scene may be frightening (it still creeps me out). Wait time is usually short, but Fastpass+ is available. 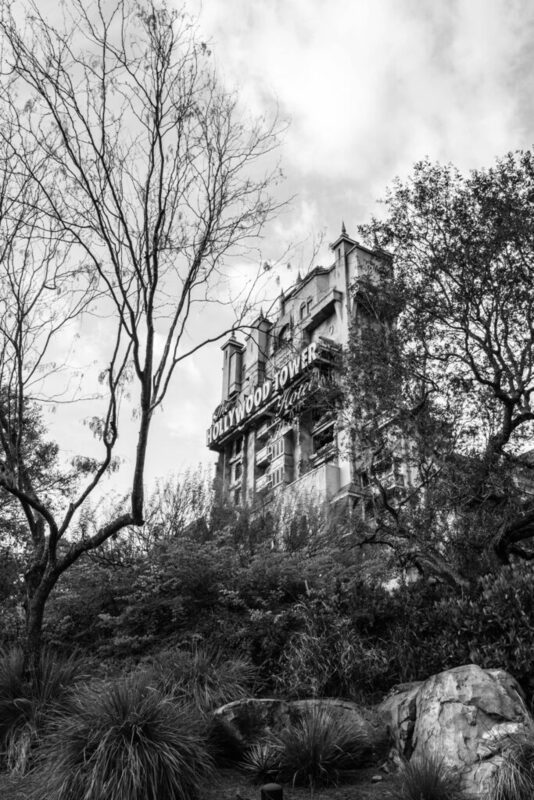 Tower of Terror- Do you dare? This classic you can see from almost anywhere in the park. Beautifully detailed, it’s one of my favourites. Ride first thing in the morning or use Fastpass+. Muppet*vision 3D- One of the last things Jim Henson worked on before he died, this 3D show featuring the Muppets is definitely a classic. I suggest getting there early to watch the pre-show, it’s surprisingly funny! If you are travelling with little ones, they will love the 3D gags! Beauty and the Beast Live on Stage- Show times are available in the times guide. This is a Broadway scale production! For Beauty and the Beast (a Disney classic) fans, they will definitely love it! It has been at Hollywood Studios for a long time, and even though rumors have been flying for years of it being replaced with a Tangled production, it still holds strong. A great show for the whole family! 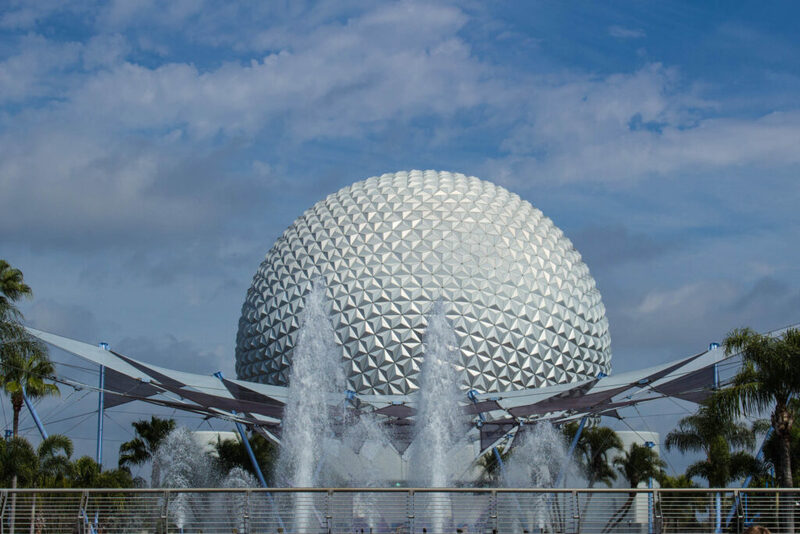 Spaceship Earth- Inside the giant golf ball is a classic. A ride that takes you through the history of communication is one of my favourites. Wait times can be hit or miss, but Fastpass+ is available. I use the Disney Parks App to look at wait times and head over when the wait isn’t long. It’s a constantly loading ride so the line generally moves quickly. World Showcase- While this isn’t an attraction, this section of Epcot is a classic. It captures the theme of Epcot, and is a great place to spend the day. There is always more to explore and see within World Showcase, and I don’t even mean food! It is always fun to try something new. During the spring the Flower and Garden Festival is always beautiful, and in the fall the Food and Wine Festival is great for tasting! Next time you visit Epcot, definitely spend some time here. Kilimanjaros Safaris- I wouldn’t really call this a “classic”, mostly because Animal Kingdom is only 18 years old, but I think this attraction encompasses the theme of Animal Kingdom more than any attraction there. Ride this first thing in the morning (when the animals are most active and lines are the shortest) or use Fastpass+. It’s Tough to be a Bug!- Again, while not necessarily a classic, this show is underneath the park centrepiece, the Tree of Life. It’s a fun show with some sensory surprises! Show runs continuously, so the longest you would wait is for the next show. Fastpass+ is not needed. 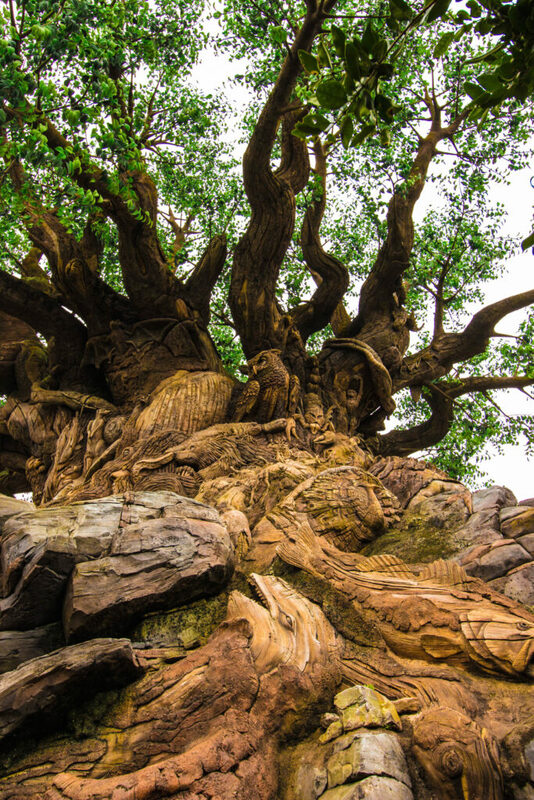 You’ll get up close with the Tree of Life! As you can see Walt Disney World is home to many classics, all of which you should see at least once. If you are a “once in a lifetime guess” you may want to by-pass some of these, but hopefully this list helps you determine which to see! I also hint at my strategy in the parks, which you can read here. What is your favourite Disney classic? Let me know in the comments! Last week I introduced the Not to Miss Series. If you missed the first post, you can read that here. So let’s continue with the thrill seeker. This list will contain all the “big” rides, and will be sorted by park. 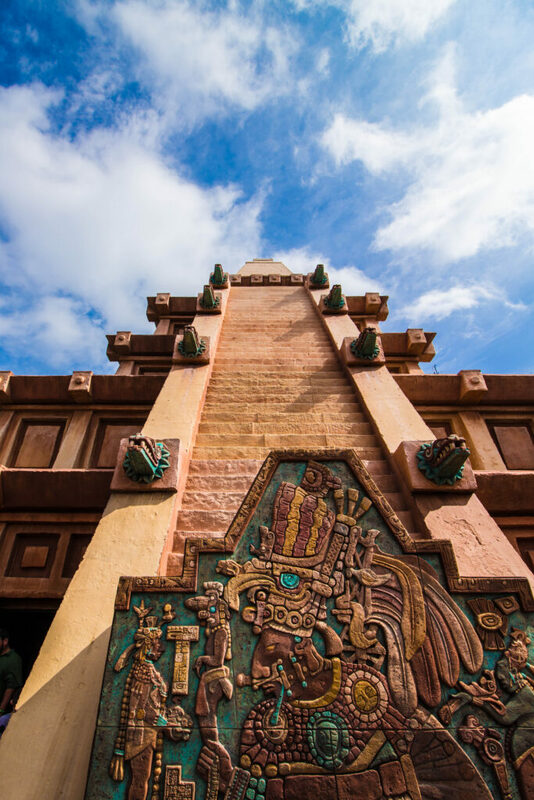 Fastpass+ is a really good idea for these attractions, because they are some of the most popular rides in Walt Disney World. If you want to know more about Fastpass+, read this post. Okay, let’s get started! Big Thunder Mountain Railroad– This coaster is the Wildest Ride in the Wilderness! 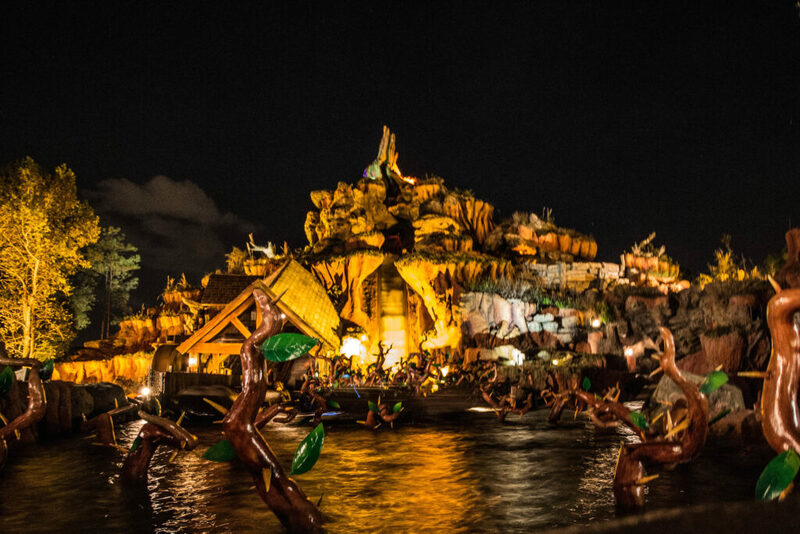 As one of the three mountains of the Magic Kingdom, it’s a must for thrill seekers. The line is generally shorter at night, so if you want to ride during the day, use Fastpass+ or ride during the first hour after park opening. Space Mountain- A rollercoaster in the dark? That would be Space Mountain! A really fun ride that goes very fast, great for daredevils! This one scares me when I ride in the front, because I scream like crazy through the twists, turns and drops! Use Fastpass+ for this one or ride first thing in the morning or late at night. Splash Mountain- If you read my top 10 favourite attractions part 1 and part 2, you know where Splash Mountain stands! The big drop is always fun, and the teasers drops just add to it! I like to get Fastpass+ for the middle of the day when it’s the warmest, and when getting soaked will be the most refreshing! Seven Dwarf Mine Train- This is the newest ride in Magic Kingdom, and while it doesn’t go upside down, it does go pretty fast! It is definitely one of the smoothest rollercoasters I’ve ever been on. And one more thing, the cars swing! Fastpass+ for sure, or ride in the first hour after park opening or late at night. Otherwise you may be looking at a 90+ minute wait! Welcome to the Briar Patch! Mission: Space- The technology of this attraction is really cool, you feel like you are blasting off and everything! There are two intensities; green (low), and orange (high). If you are at all worried or have a sensitive stomach, go with green. I don’t find orange bad at all, but they hype it up which made me nervous my first time. Fastpass+ is not required, but the orange line can get long. Test Track- Design your vehicle and test it on the course. The course happens to end with you speeding at 65mph on the outside of the building! Definitely something for the thrill seeker in your party. Ride during the first hour of the day, or use Fastpass+. 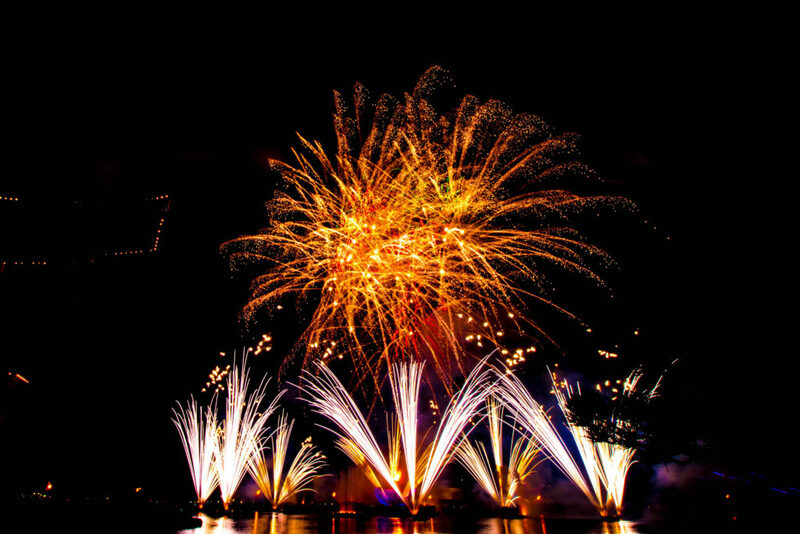 End your day of thrills at Epcot with Illuminations: Reflections of Earth! Tower of Terror- Ride in an elevator, and enter The Twilight Zone. There are lots of unexpected drops with this one! Ride early in the morning or use Fastpass+. Rock’n’Rollercoaster- Go from 0 to 60 in 2.8 seconds. If that doesn’t speak to a thrill seeker, maybe some going upside down while blasting Aerosmith will! Ride shortly after park opening, or use single rider lane or Fastpass+. At Hollywood Studios, I usually try to do Toy Story Mania, Tower of Terror and Rock’n’Rollercoaster right after the park opens. You have to run around a little but it gets the busiest rides out of the way! Kali River Rapids- This raft rode twists and turns, and you never know who will get soaked! There is one big drop, hopefully you aren’t on the wrong side! I use Fastpass+ so I can experience this during the hottest part of the day. Expedition Everest- Can you brave the mountain? 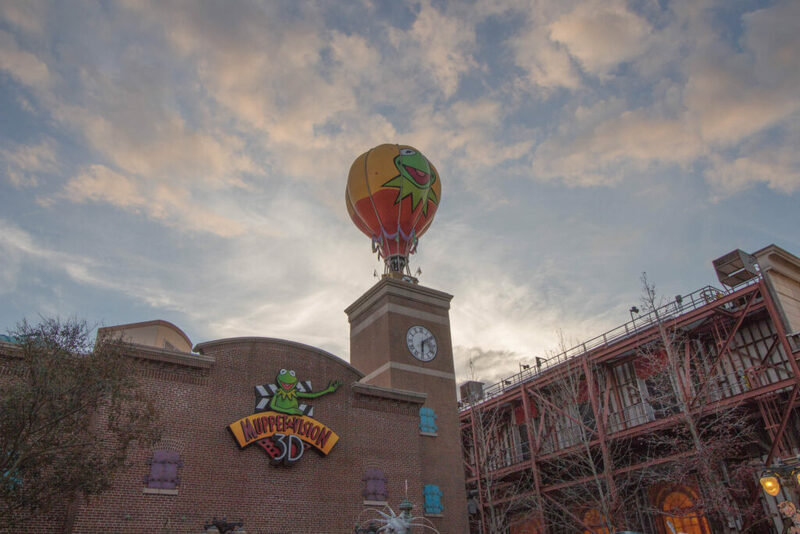 The hill offers amazing views of Walt Disney World, so try to look around! The speed, backwards and forwards are always fun, but watch out for the Yeti! I love to ride Expedition Everest first thing when the park opens, and do it 3 or 4 times in a row! If you can’t be there for park opening, use Fastpass+. Dinosaur- Head back in time and help get a dinosaur, but avoid the big one! 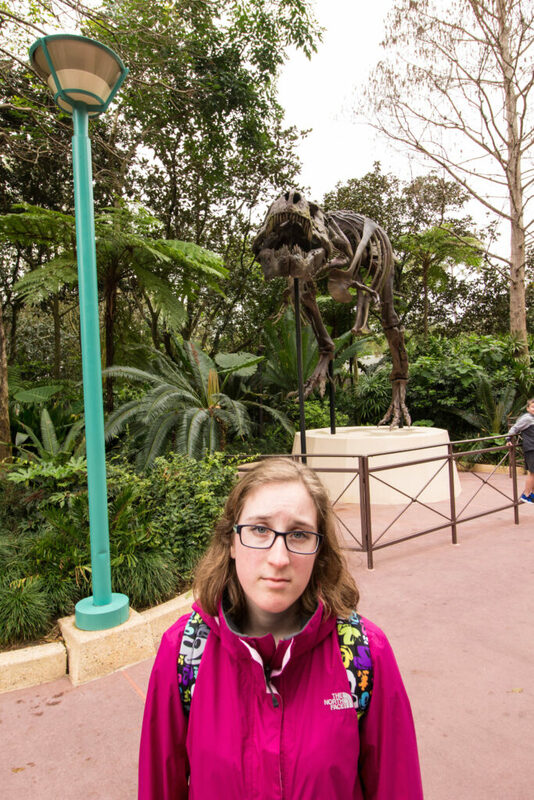 Fastpass+ isn’t generally needed for this one. Being completely honest, I hate this ride. 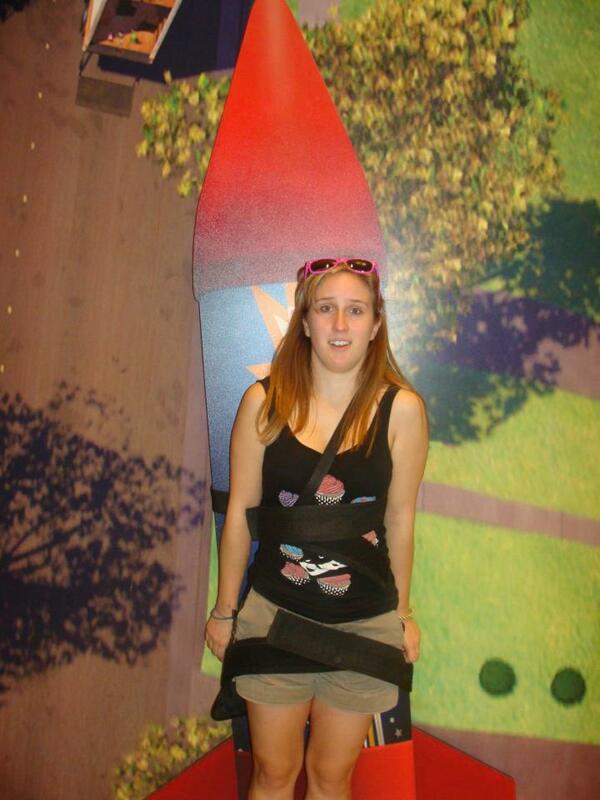 It’s probably the only ride in WDW I hate. But that’s because I hate dinosaurs, and am terrified of them. Primeval Whirl- Probably the only somewhat good thing to come to Dino-Rama in Animal Kingdom, this ride is a mix between the teacups and a roller coaster. It’s a little jerky but definitely makes you laugh! The line isn’t usually very long for this one, so I just wait in line. See? I really hate dinosaurs. You can see that for most of these attractions you should use Fastpass+. Because that isn’t always possible it is important to be at the parks when they open, which is usually my strategy in the parks. What’s your favourite “big” ride at Walt Disney World? Let me know in the comments!